If you have a cavity or broken tooth, most Atlanta dentists will give you one of two options to repair it, either a filling or a full coverage crown. With a filling, you can repair an area inside of a tooth, such as when a cavity is present. If too much of the tooth is damaged or decayed, filling the thin shell of enamel that is left simply puts you in a position of additional fractures and breakage from everyday wear. It just can’t hold up to normal use. On the other hand, a crown covers your entire tooth surface. It requires the tooth to be gently prepared and reshaped so that a “cap” can be bonded over it without looking or feeling too bulky. If your cavity is too large for a filling, most of the time the dentist will use a crown. Fortunately, there’s another restorative dentistry option that might be more appropriate for your moderately damaged tooth. An inlay or an onlay. Sometimes referred to as a “three-quarter crown,” inlays and onlays restore a larger portion of your tooth than a filling can. However, it doesn’t cover the entire surface of your tooth the way a crown would. Instead, the lab-formed porcelain “filling” is customized for each patient. It restores the damaged area but leaves healthy enamel intact. The design between the two is just slightly different. An inlay extends further inside the grooves of a tooth, while an onlay rests over a greater portion of the “cusps” to rebuild the chewing surfaces. The benefits and treatment process is essentially the same for each. Unfortunately, placing a crown on a tooth requires the entire surface of enamel to be drilled away (or “prepped”) so the crown will fit properly and not be bulky. If your enamel is healthy, it’s easy to see why removing it can sound extreme. However, if your general dentist isn’t familiar with inlays and onlays, the only option left may be to have the tooth crowned. Seeing a specialist, such as a prosthodontist, can make getting an inlay or onlay as simple as possible, giving you the chance to save your enamel and your smile. Is This a New Procedure? Why Don’t Many Dentists Offer Them? Inlays and onlays are not new. In fact, they’ve existed for decades. Unfortunately, not many dentists choose to use them in their practices. This most likely because the procedure is just as time and energy-intensive as a crown. Years down the road, if the tooth wears out, the tooth may need a crown anyway. This kind of reasoning typically causes general dentists to bypass the inlay or onlay altogether. However, inlays and onlays are very popular with restorative experts like prosthodontists. 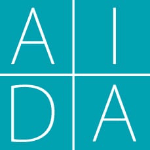 The American Dental Association recognizes the prosthodontic specialty as dentists that have received an additional two to three years of formal education in restorative and prosthetic dental techniques. Attaining a higher level of training enables prosthodontists to perform less frequent procedures (like inlays and onlays) with a greater level of expertise than a general dentist. They should not be confused with a “cosmetic” dentist, as cosmetic dentistry is not recognized by the ADA as a specialty. Prosthodontists are the most highly skilled dental specialists when it comes to restorations like inlays, onlays and cosmetic treatments such as porcelain crowns or veneers. Having an inlay or onlay procedure has many similarities to placing a crown. However, since most dentists do not receive extensive training in the procedure, it’s best to see a prosthodontist. With the right dentist, you can ensure that your procedure will be performed as efficiently and successfully as possible. First, your tooth will be thoroughly numbed so that you do not experience any discomfort. Then, the damaged or decayed area of your tooth will be removed, leaving healthy enamel in place. Next, an impression is made of your tooth. We then create a model of the tooth and send it to our lab. There, the lab technician hand-designs a customized inlay or onlay to reflect the unique needs of that specific tooth. A temporary filling will be placed over your tooth to prevent any sensitivity while you wait for the custom restoration to be made. About 10 business days later, your inlay/onlay will be ready. Finally, the temporary filling is removed, and your inlay/onlay is cemented permanently into place. Your bite is assessed to ensure that there are no irregularities that could alter the way you chew or cause TMJ concerns. Traditionally, inlays and onlays have been made of either porcelain or gold. Gold is sometimes preferred in areas where chewing forces are greater, but they pose an aesthetic concern. Thankfully, porcelain dental materials have tremendously improved over the past several years, making them more durable and cosmetically pleasing. It’s now possible to use porcelain for nearly all of the inlay and onlay procedures we perform in our Atlanta office. With a porcelain restoration, we’re able to closely match the shade of the inlay or onlay to the color of your natural tooth. This allows the restoration to blend in seamlessly with the entire tooth, giving us the option of using them just about anywhere in the mouth. When you talk or smile, other people won’t be able to tell that anything is there. Ultimately, the unique health, integrity and existing damage to a tooth will determine whether or not an inlay/onlay is appropriate. That being said, most Atlanta dentists will not suggest inlays and onlays because they simply do not perform the procedure on a regular basis. Instead, they move to a more comprehensive and invasive crown. Fortunately, our prosthodontists at AIDA are experts at placing inlays and onlays. If you’re considering having an inlay or onlay made to save your tooth, you want someone with the specialized skill and training for this less-than-common procedure. This is instead of a “cosmetic” dentist that only does a few each year. Contact Aesthetic & Implant Dentistry of Atlanta to schedule your inlay/onlay consultation with one of our prosthodontic specialists today.